One of Napa Valley’s greatest Chardonnays, side-by-side with our iconic Oakville Cabernet Sauvignon. This discerning duo is a testament to our more than 30 years of expertise in growing and making Napa Valley Cabernet and Chardonnay. Far Niente Chardonnay lingers on the palate, showing off its creamy texture and brilliant acidity, while the Far Niente Cabernet Sauvignon offers complex layers of dark fruit, refined tannins and an expansive finish that make it elegant in the glass now and 100 percent cellar-worthy. 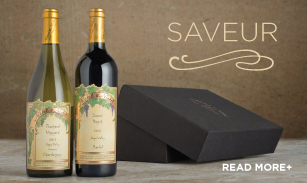 Discover our estate-bottled Cabernet Sauvignon and Chardonnay in this truly classic wine gift. 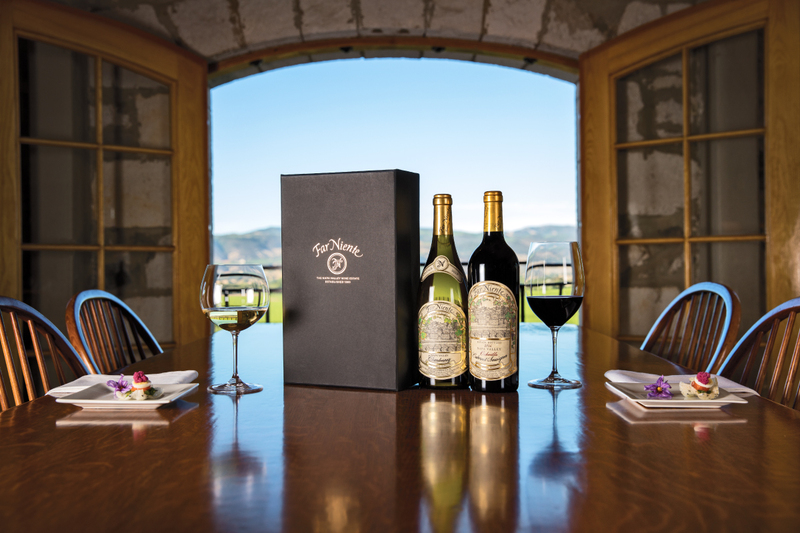 A reflection of the remarkable Napa Valley vineyards in which they were grown, this elegantly boxed Cabernet and Chardonnay collection offers wine lovers an exquisite taste of our current release wines. We craft a single Cabernet and a single Chardonnay with each vintage of Far Niente. Our Far Niente Chardonnay comes from the cool southern Napa Valley region known as Coombsville. It’s a magical pocket for Napa Valley white wines, and our vineyards reward us with Chardonnays displaying bright fruit, luscious texture and a long, refreshing finish year after year. Our Martin Stelling Vineyard is the cornerstone of our Far Niente Cabernet Sauvignon. The vineyards stretches into the western hills of Oakville, in the heart of Napa Valley. It’s an iconic region, known for producing the Best Napa Valley Cabernets. Vintage after vintage, our attention to every detail from vineyard to bottle truly makes our Cabernet Sauvignon a rich, fruit-forward expression of the Napa Valley.